For organizations with multi-site offices or locations, providing each site with reliable, continuous wireless coverage can be a tremendous challenge. Multi-site business might include retail chains, with operations across multiple states, mobile healthcare workers, or technicians who require using remote data wherever they are working from. Companies have gone direct to Carriers but no one carrier provides coverage everywhere. To obtain adequate wireless coverage, businesses must purchase individual plans and wireless services from several top-tier carriers like AT&T, T-Mobile, and Verizon. This ‘patchwork’ approach aims to ensure that remote workers and all locations have wireless coverage to stay productive. However, despite best efforts, this approach often leads to wireless gaps and buying, overbuying, or underbuying of wireless services. Not only that, there are multiple invoices from carriers to juggle, which is a drain on productivity. However, a new wireless solution based on advanced engineering and provisioning capabilities is changing the multi-site wireless landscape for good. Broad Sky Networks is now offering an innovative multi-site wireless solution that provides access to cross-carrier pooling for the best wireless data connection at each of their locations. The multi-site wireless service means business locations can share single plans across multiple providers and they are guaranteed the best possible wireless performance and access at each given location. From large organizations that have thousands of locations or remote workers to multi-location retail outlets to a small organization with two employees, Broad Sky’s mobility solution is unique because it provides reliable nationwide coverage, through the consolidation of the most trusted wireless networks, such as AT&T, Verizon, and T-Mobile. Cross-carrier pooling – Provides the ability for all locations to contribute to an aggregated total usage pool across multiple providers for all locations. Cross-carrier pooling means that users can obtain nationwide coverage anywhere, anytime, with a single-source solution. Extreme plan flexibility – Offering monitoring and reporting tools, customers are notified if trending over their allotted usage pool. With these tools and information plan changes can be made mid-month to accommodate usage changes within an account to optimize plans. Consolidated billing – The solution also streamlines billing so that businesses receive a single monthly bill, rather than individual invoices from multiple wireless providers. This can save tremendous time and gives organizations a better handle on their monthly accounting and cost analysis. Deploys with SD-WAN – Broad Sky Networks’ multi-site wireless solution can also support SD-WAN deployments. Because SD-WAN is transport agnostic, the technology can rely on MPLS, broadband, or 4G wireless connections. 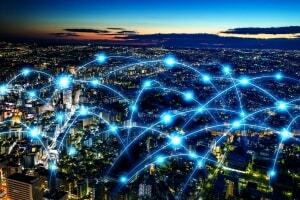 4G LTE is a diverse path redundant connection that works well in any SD-WAN deployment – organizations can deploy SD-WAN for lean branch office set up and greater network flexibility. With SD-WAN and nationwide wireless coverage from Broad Sky businesses can offer a diverse backup solution offering the best wireless connection at each location. Organizations across several verticals can benefit from a truly nationwide, single-source wireless solution. Talk to us today about how our mobility solution can deliver fast and extremely reliable nationwide coverage, through the consolidation of the most trusted wireless networks available. Through our extensive partner program, partners can also offer this new multi-site wireless package to their customers. Call us for more details (877) 291-9575.